JAKARTA — While European Union leaders were in the middle of another round of Brexit talks in Salzburg this week, the European Commission was pitching a plan to boost Europe’s infrastructure links with Asia. The commission, a key EU decision-making body, estimates that Asia needs 1.3 trillion euros ($1.5 trillion) a year in infrastructure spending over the next few decades. European infrastructure upgrades will cost a projected 1.5 trillion euros between 2021 and 2030, it said. EU foreign ministers will vote on the plan ahead of a meeting of leaders of 51 countries across Asia and Europe in Brussels next month. Financing details are hazy, with the commission suggesting that it draws on existing EU funds, loans from development banks and public-private partnerships. Some analysts say the plan — titled “The European Way to Connectivity” — suggests that the EU is proposing an alternative to China’s flagship Belt and Road Initiative, an ambitious collection of road, rail and port projects in 60 countries spanning Asia, Europe and Africa. “The plan was clearly developed in response to BRI,” Lucrezia Poggetti of the Berlin-based Mercator Institute for China Studies (MERICS), wrote in an email. China has been making inroads into the EU with its BRI outlay, spending billions of dollars in countries such as Greece, but prompting some member states such as France and Germany to suggest the bloc should adopt a common investment screening policy. The EU is also preparing for the departure of its second-biggest economy, the U.K.
China’s BRI efforts have also met with a mixture of embrace and suspicion in Asia. Malaysia’s government has halted Beijing-backed infrastructure projects, and a Chinese high speed rail link between Jakarta and Bandung is struggling to get off the ground due to land rights disputes along the proposed route. The EU’s overture comes as the U.S. and China ramp up their trade dispute, with the world’s two biggest national economies threatening further rounds of tariffs. The EU, the world’s biggest economy if measured as a single entity, has criticized the levies, as have European businesses with operations in Asia. “The effects of the US-China trade war on European companies in China are significant and overwhelmingly negative,” Mats Harborn, president of the European Union Chamber of Commerce in China, said in a news release last week. 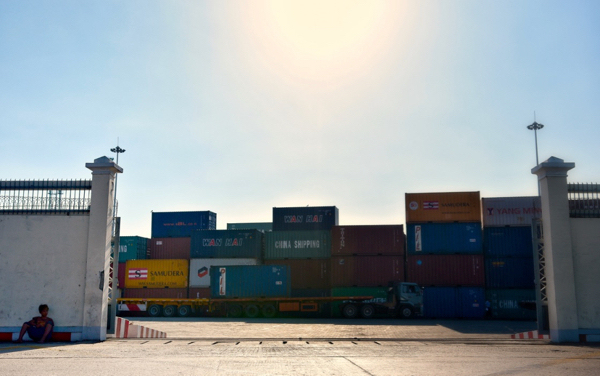 Naoyuki Yoshino, dean of the Asian Development Bank Institute, said that improved Europe-Asia transport links could particularly benefit Central Asian countries in the middle of the Eurasian landmass. But he cautioned that “the cost of constructing land transport infrastructure such as roads and rail will be high” and recommended that public-private partnerships aim for a wider financing base than tolls or travel fares. “Infrastructure will create spillovers such as factories, urbanization, and this will allow for increased tax revenues,” he said.